A solar cooker is a device which uses the energy of direct sunlight to heat, cook or pasteurize food or drink. Many solar cookers presently in use are relatively inexpensive, low-tech devices, although some are as powerful or as expensive as traditional stoves. The sunlight-to-heat conversion occurs when photons (particles of light) moving around within light waves interact with molecules moving around in a substance. The rays emitted by the sun have a lot of energy in them. When they strike matter, whether solid or liquid, all of this energy causes the molecules in that matter to vibrate. They get excited and start jumping around. This activity generates heat. The first Kuwait Global Technopreneurship Challenge where the various teams were trying to answer questions related to local issues on health, personalized learning and efficient use of solar energy. 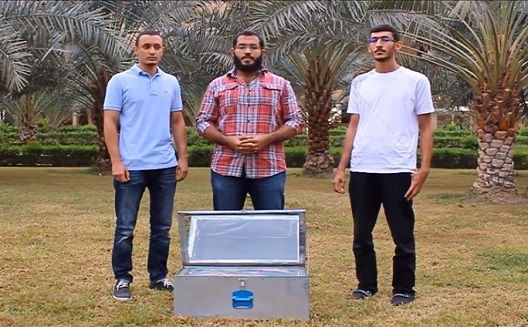 The team E-Innovation took second place in the overall competition and they won 1,250 Kuwaiti dinars (USD 4,120) for their invention Solar Cooker, as reported by Wamda. The Solar Cooker - a portable device, easy to transport and store, it is made up of parts that are fitted simply together. Using the sun as a renewable energy source their device is currently at the stage of improving the design and efficiency. Ultimately, it’s a low cost product, easy to set up and store, requires little care and supervision, needs no fuel, electricity or gas. It produces zero emissions and is safer for children. The tech part is very simple. 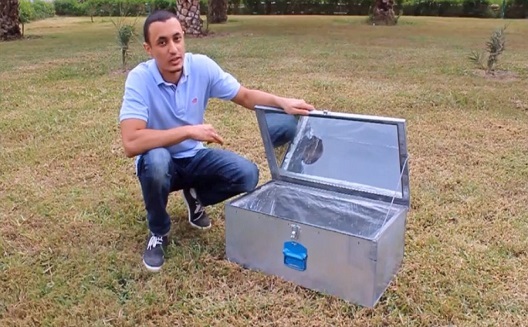 A reflector is used to gauge sunlight into the box through a transparent medium, and the infrared radiation increases the temperature inside the box reaching high temperatures to cook the food. According to E-Innovation the most important thing they learned during the Challenge was how to work in a team. They also gained a lot of experience in research and solving problems. Meeting people from different countries and cultures was an eye opener for them. “I improved my presentation skills significantly,” said Osama. “I learned more about the business model and how to make one.” He added that he also took away insights into how to make their economical “in order to help mankind," as reported by Wamda.